*clears throat* #iKnowiKnow my blog has becoming more of a commercial aka advertorial blog. Please forgive me for that. To be honest with you guys, I was busy with training/ flying/ settling some personal issues that I really, did not have the mood, time & effort to do a proper blog posting. I want to try & FINISH the product on myself before I can share the results with you guys! I must convince myself that the product(s) DO work before sharing with you all. (ɔ◔‿◔)ɔ ♥ Of coz, I must thank the companies who still believing in me and trusting my testimonials (be it good or bad) shared on my social media. "Thank You so much. Really appreciate it :)"
I will be splitting Best of 2014 into several categories so that you guys will not be scrolling so much. HAHA! 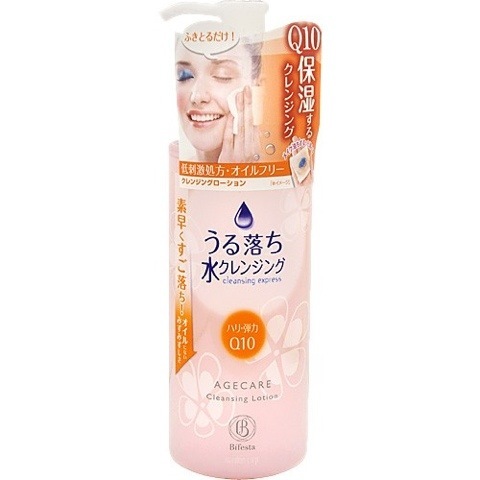 Does not provoke (cause redness) my skin - my skin is rather sensitive thus too strong makeup remover will tend to cause redness / red patches on my skin after removing my makeup. And I'd been using the following (below) for YEARS! At least minimum 5 YEARS till date and I can assure you that they are among the BEST MAKEUP REMOVER I HAVE EVER USE!!! And I began to stock up whenever I had my Paris flights during my JAL days and really, visiting pharmacies is a must-visit trip for me whenever I head to Paris. #nopeNotChanelLV LOL! For me, it doesn't cause any redness or breakouts (unlike for some of my colleagues who tried but unfortunately doesn't work well for them) and it removes all traces of makeup effectively after 2 wipes*. And a 500ml can last me up to 5-6MONTHS considering I use it everyday!!! AWESOME!!! Downside: Pricing. OMG it's SO EXPENSIVE in Singapore compare to other countries (Paris/ Japan/ Hong Kong). E.g: Hong Kong is selling S$20 for a 500ml whilst SG is selling $39.90 (after Sales) #whyOhWhy -_________-"
My ultimate #swearBy + #mustHave in SG & ALL my outstations! (╥﹏╥) And I cannot believe I could not find this holy product in Japan for 2 freakin' years! I searched high & low in Aeon Mall/ Matsumoto Yaku/ all beauty/ skincare/ drugstore stores to no avail! Anyone who uses mascara will feel this: ever tried to remove them especially waterproof ones and looking like a panda after that? TRUST ME. THIS BABY WORKS LIKE A MAGIC! I always use waterproof mascara and I have 0 issues looking like a panda after removing them using this BABY! I always use 1 wipe* for each eye to remove ALL traces of mascara/ eyeliner and eyelash glue! Of course la, I uses both sides of the wipe to ensure all eye makeup are removed. Downside: Please shake the bottle WELL so that the oil & water solution will blend well together to achieve maximum results. "Removes ALL traces of Makeup!!! NO NEED TO WASH after removing!!! Moisturizer is included in this Bottle!!!" Created by renowned Taiwanese skincare guru Nu Er 老師, this product is comparable to Kawaii Tokyo Nature Break facial wash - i.e. skin feels smooth and supple, and skin does not feel tight after wash. For me, I use this product alone when I'm not wearing makeup and uses about size of 0.8cm to cleanse my face and neck. Nature Break, unlike any other commercial facial wash catered for sensitive skin, is a fragance-free + whitening + hydrating + anti-aging facial wash that does not leave any smooth layer after wash but yet, it does not give a tugging sensation (skin feels tight) after patting dry. It is truly an amazing product but most unfortunately, it has face out from Singapore and I have 0 clue to find them elsewhere in the market today. All you need is to squeeze out a 0.5cm (aka small pea size) amount and that's more than enough to cleanse the whole face and neck! =^^= Was given this product 2 years back and I had brought it with me wherever I go! This cleansing foam is extremely gentle on my skin yet compliment super well after my Green Bean scrub, leaving my skin smooth, soft and supple! EXCELLENT COMBI with the Green Bean Scrub!!! I always use this gentle facial scrub on an almost daily basis after removing my makeup. Yes, some may feel it too often to use this product but I beg to differ. Those who I'd shared this skincare secret of mine will agree with me too. As long as you do not scrub too harshly (as though you are scrubbing a floor *LOL*), the gentle bean residue will actually acts as a Massage as it promotes blood circulation when doing circular motion and that's when skin starts to improve (removal of dead skin and new cell rejuvenation). Legit isn't it? This bottle last me for about 3-4months and a teaspoon is provided as well. Simply scoop 1 teaspoon provided and mix well with water. Mix well to a gluey paste. Downside: Not available in Singapore. Get your friends to bring back for ya when they go over to Taiwan! It's no secret and I had share this beauty find in my Instagram earlier on. This skin conditioner works exceptionally well even when I did not apply further skincare products! It really leaves a supple soft finish on my skin after spraying & patting them! And another plus point will be that generous amount (500ml)! 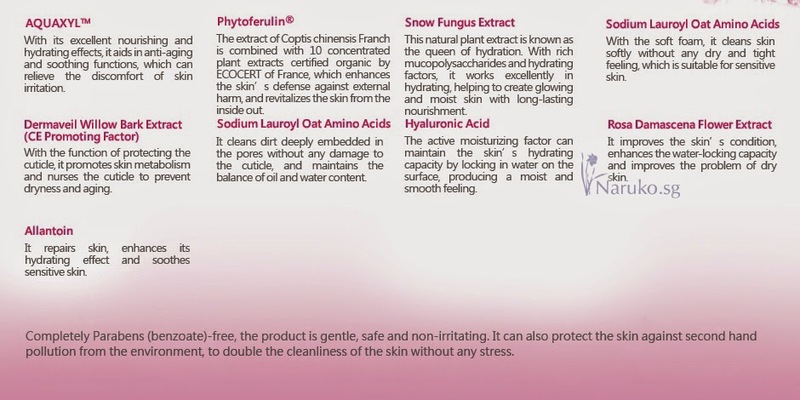 I have been using them on my entire body as well which aid to control my eczema condition too! Amazing!!! Was given this by Isabel Beauty and I have been using it on EVERY JAL flight. Many crew were curious and had fell in love with this product after using it after crew rest. My God, aside the refreshing scent & sensation feel, we agreed that our skin weren't dry and was well-moisten even we completed a 13-hr flight! Downside: Nope, not available in Japan but exclusively at Isabel Beauty Creation! Don't judge by the petite size (30ml), this lil miracle last me for 5 MONTHS despite using it on daily basis (2 drops for day/ 1 drop for night). 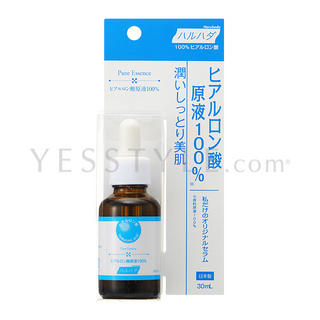 Simply pat or upward circular motion until the serum is fully absorb into the skin. Ahhh~ The luxury of GOLD. YES. Pure gold (99.9%) comes in a VERY soft foil and easily absorb into the skin. Was in a beauty company many years back and I was given the honour to try out the GOLD facial back then and yes, you have my word pure gold CAN be absorb into the skin! And I'm SO glad that Isabel Beauty Creation has bring in this luxury item into Singapore!!! As much as I use makeup products that have SPF PA++ function, I still believe that a sunscreen protection should come from a reputable company that specializes in sun protection. I was given the above 2 years back and true enough, I really love the texture (nope, not sticky unlike some sunblock) and the cooling sensation from their watery cool menthol range. 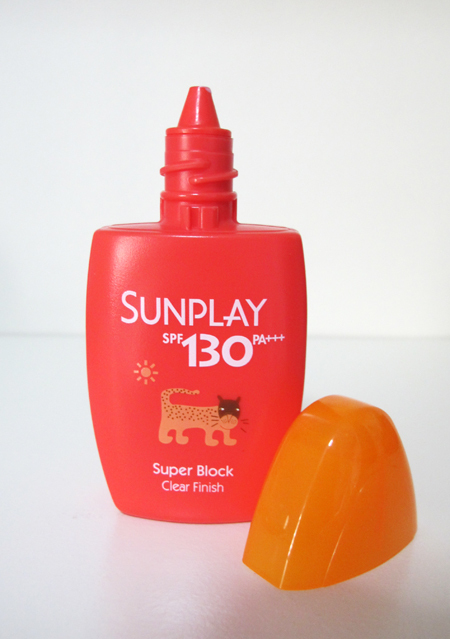 I use SPF 130PA++ for work (kaisu-ism at its best LOL) and SPF 75 PA++ for normal activites. Sponsored 2 years ago. Have been repurchasing them ever since. These mask really provide the necessary moisturizing goodness that leave our skin fairly hydrated during our 3-month stay in Japan. Note: It was late winter - early spring when we stayed there. My #mustHave after every flight and I always carried 1 box with me for every outstation! 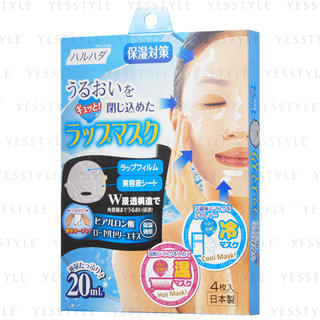 This is a highly intensive moisturizing mask and I always put them into the hotel fridge before going for shower and apply them straight after toner. I solemnly swear, this mask really hydrates my face and no further skincare is required (even for Winter season!!!). Mask and off I went to sleep! Was given this to try with compliments from GushCloud and MDD Cosmeceutical and I really enjoy this product even though it was not meant for any advertorial returns. Unlike other sleeping masks with leave a 'silicone smooth' finish, this sleeping mask really absorbs into the skin and despite not leaving any 'silicone smooth' finish, my face did not feel dry or tightening effect the next day. BEST of all, my skin look well-moisturized and looking supple throughout the entire day!